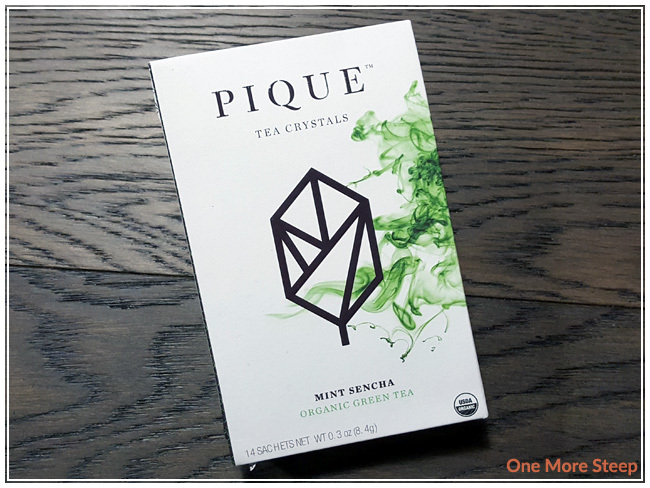 Pique Tea has provided me with Mint Sencha for the purposes of providing an honest review. When Pique Tea asked me if I wanted to try their tea, I was intrigued. 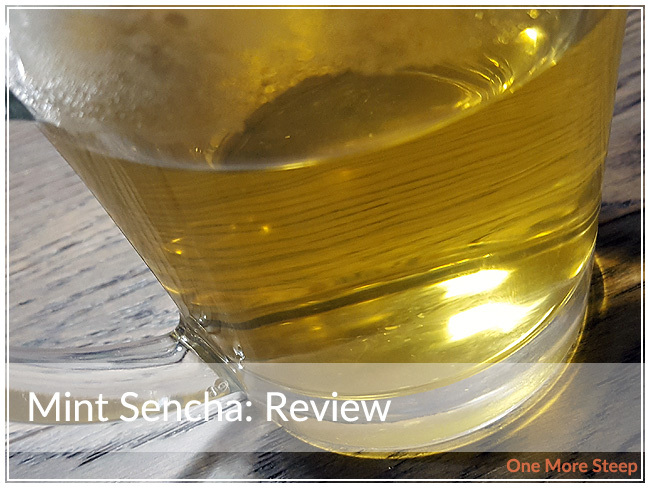 It’s not my first time having an ‘instant’ tea, but I’ve really grown to like sencha so the idea of an instant sencha powder did make me a little bit apprehensive. They sent me a package of their Mint Sencha, and inside the cardboard carton was 14 foil packets. It’s a lot of packaging, but luckily the cardboard carton is fully recyclable. You can find more information about the process of how Pique Tea creates this crystallized tea on their website. 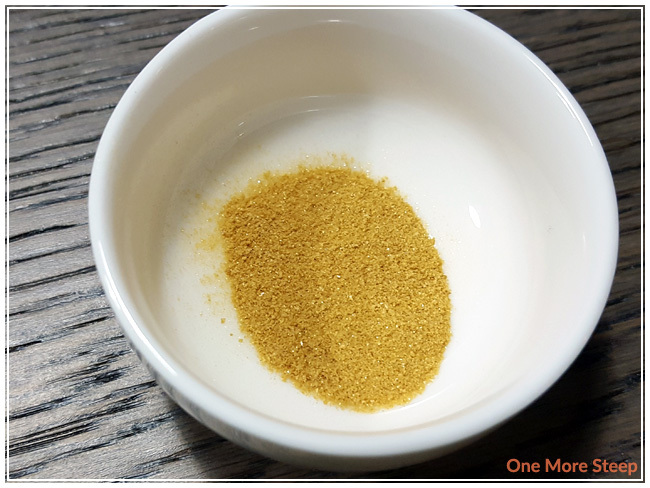 When I opened the packet, I found that the tea reminded me a lot of golden sugar – just smaller granules. I tried to sniff the tea, but didn’t really smell anything. I didn’t get my nose too close because I wanted to drink this tea, not inhale it. 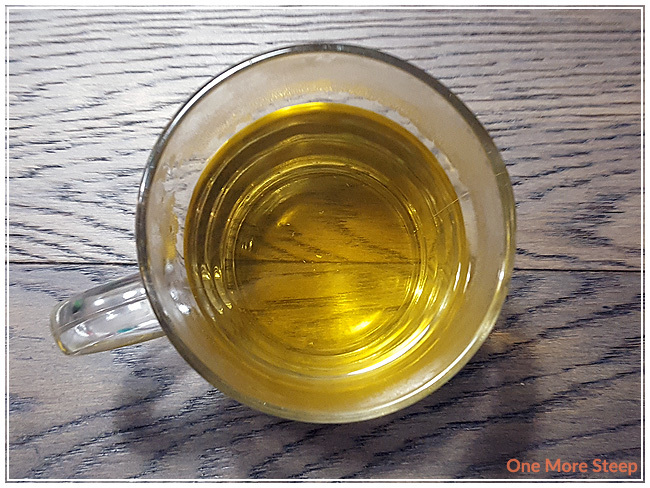 Mint Sencha is made of organic green tea and organic spearmint. Pique Tea recommends mixing 1 packet per 8oz of water, and recommended 175°F (79°C) water for this green tea. 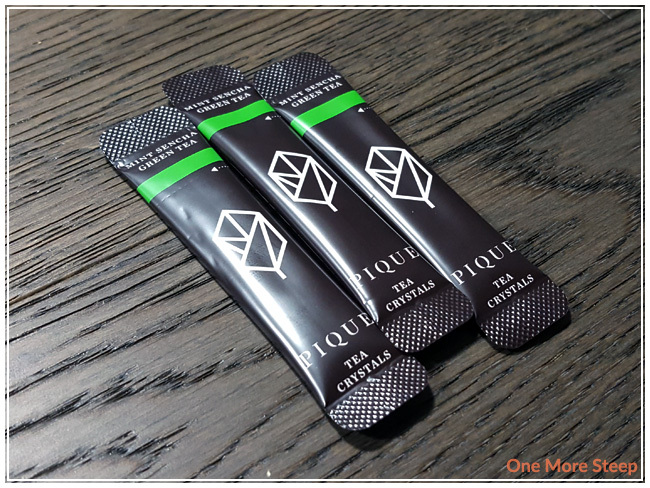 Fun tip, when I was on the Pique Tea website I learned that their crystallized green teas can be fully dissolved in cold water (but their black teas cannot), this is due to some of the properties of black tea. After adding hot water to the tea crystals, I found that it fully dissolved without any mixing on my part. The tea itself is fairly yellow. It has a very strong minty aroma to it. There’s a strong grassy and vegetal taste to this tea, which I contribute to the sencha part of this tea, with the light freshness of spearmint. I found it quite tasty. The colour isn’t quite what I was expecting, it’s a lot brighter than I usually expect my sencha to be, but I suspect that’s partially because of the spearmint as well. Because it had a strong mint fragrance, I expect it to be more minty in flavour. Thankfully, I’m not likening it to toothpaste, because actual amount of mint in the flavour isn’t overwhelming (thank goodness). I iced a second cup of this tea and found it to be tastier iced than hot because of the refreshing qualities of the mint. No second steeps for this tea as it fully dissolved and there was nothing to resteep! I liked Pique Tea’s Mint Sencha. I thought that overall this tea was quite tasty, with some good sencha flavours with the added mint. I was happy that the mint wasn’t as overwhelming as I expected it to be. I found Mint Sencha to be better iced than hot (and thankfully it fully dissolves in cold water). With the way the packets work, you only get 14 servings per package (making each serving $0.57). This is cheaper than buying a to-go cup of tea at a coffee shop for sure, but it is more expensive than buying loose leaf tea by itself. That said, this is a product of convenience. I think tea bag drinkers will love this, because it means that they don’t have to be schlepping wet tea bags around (or worry about oversteeping their tea). For the convenience factor, I think it would be worth the cost per serving. I generally steep tea at home, so I’ll be using the remainder of the packets when I’m on-the-go or when I’m at work (as I don’t have the luxury of a desk job).